↑ Maslow, A.H. (1943). "A Theory of Human Motivation," Psychological Review 50(4): 370-96. ↑ Mittelman, Willard. 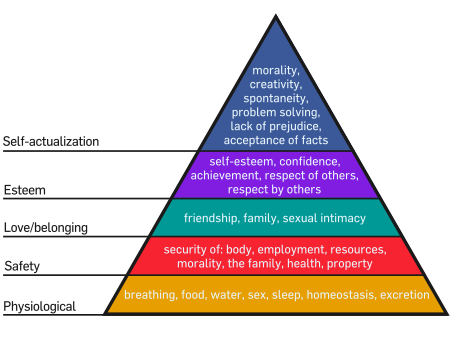 "Maslow's Study of Self-Actualization - A Reinterpretation". Journal of Humanistic Psychology 31 (1): 114-135. doi: 10.1177/0022167891311010. Retrieved on 2012-06-03.